Young Steve Jobs wasn't exactly easy to work with! February 19, 1981: Jef Raskin, creator of the Macintosh project, sends a memo to Apple CEO Mike Scott, listing his many complaints about working with Steve Jobs. He claims that Jobs, who joined the Mac team the previous month, is tardy, shows bad judgment, interrupts people, doesn’t listen and is a bad manager. Raskin’s original concept for the Mac, which he began working on in 1979, started out very different from the machine Apple wound up shipping in 1984. He imagined a highly portable computer that would rely less on separate programs than the ability to adapt to whatever the user was doing. In Raskin’s vision, typing a letter would make the Mac recognize you wanted a word processor; writing an equation would make it shift to become a calculator. Raskin clashed with Jobs over the Mac’s specifications a couple of years earlier in September 1979. Raskin considered price (and therefore accessibility) the Mac’s main guiding principle. Jobs wanted a computer that was the best available, regardless of price. At that point, the matter seemed resolved. Jobs stayed busy on other projects, mainly the ill-fated Apple Lisa, the company’s first computer to feature a graphical interface and mouse. Things changed when Jobs got kicked off the Lisa team for being a disruptive influence in the fall of 1980. Soon, the Apple co-founder started dropping by the Mac offices. 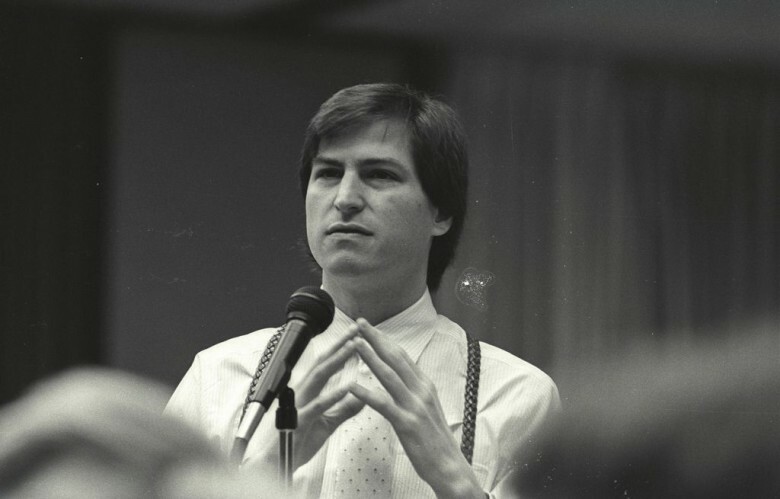 On January 20, 1981 — the day Ronald Reagan was inaugurated as president — Jobs officially joined the Mac group. He acts without thinking and with bad judgment. He does not give credit where due. Jobs often reacts ad hominem. He makes absurd and wasteful decisions by trying to be paternal. He interrupts and doesn’t listen. He does not keep promises or meet commitments. He makes decisions ex cathedra. Jobs is often irresponsible and inconsiderate. He is a bad manager of software projects. According to other people I have spoken with who knew Jobs at this time, Raskin’s criticisms were not unfounded. However, Jobs did bring a lot of great ideas — although these often ran counter to Raskin’s own vision for the Mac. Either way, it didn’t matter. Jobs’ position as Apple co-founder meant that, before long, he assumed full control of the Mac project. Raskin quit Apple the following year. His version of the Macintosh, or something close, launched as the Canon Cat a few years later and promptly disappeared. CEO Scott left Apple even earlier, resigning on July 10, 1981.